Are Bankruptcy Attorney Payment Plans A Good Idea? Recently I’ve had several new clients come to me after their payment plan with another bankruptcy attorney fell through. Either their income increased over the course of the payment plan and they no longer qualified for chapter 7 bankruptcy or their attorney was slow to prepare the petition. 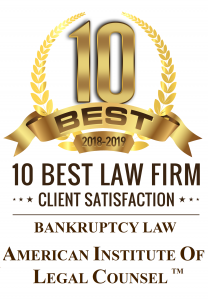 With so many dejected clients who agreed to pay over $1,500 over the course of a payment plan you may be wondering whether a payment plan with a bankruptcy attorney is in your best interest. Sometimes a payment plan works in the client’s favor. If the client has a complicated case that truly warrants a $1,500 fee and the client has verified with other attorneys that their case will cost an equivalent rate, then the attorney who offered a payment plan may win the client’s business. In this case the bankruptcy attorney can accept the client’s creditor calls and give the client peace of mind while the bankruptcy documents are prepared. Another instance in which a payment plan can work in a client’s favor is when the client has a windfall of income within the past 6 months and needs to wait before filing chapter 7 bankruptcy. To qualify for chapter 7 bankruptcy the total income within the past 6 months must fall below a certain threshold based on household size and median income for the state in which the client lives. If the client received a single windfall of income within the past 6 months or is facing a loss of income in the near future, a payment plan can allow the attorney to accept the client’s creditor calls giving the client peace of mind while they wait a few months for the income to fall below that threshold to qualify for chapter 7 bankruptcy. In many cases a payment plan can be a disadvantage to a client. The bankruptcy attorney fees must be paid in full before a client can file chapter 7 bankruptcy. If the client is facing wage garnishment, foreclosure or a lawsuit and a chapter 7 bankruptcy petition must be filed ASAP, a payment plan won’t give the client the protection provided by the automatic stay which is only available after a bankruptcy filing. Likewise, a payment plan can induce clients to pay more in attorney fees than they would otherwise agree to if attorney fees were due in full at the time of hire.